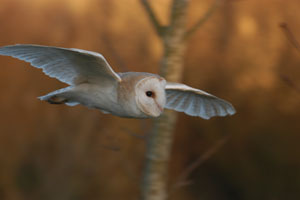 Lily the barn owl works with Rose on location and in studios during the day, she is also frequently filmed at night. 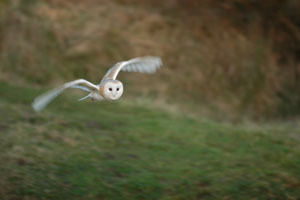 Below, Lily can be seen flying to sound boxes, hidden in the grass, which allows the cameraman to get footage of natural hunting behaviour. 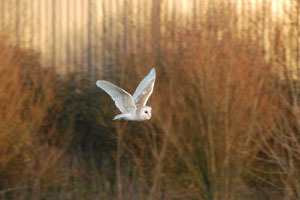 She also flies to the hand, and is suitable for flying to presenters and with actors.